new landscapes, but in having new eyes. In next week’s Advisor Meetings, advisors will review interim grades with their advisees and discuss plans for improvement if necessary. Please note that the High School will soon be switching to a new format in the Veracross attendance system. Parents will now receive an absence notification at the end of each period for which a student is marked absent (assuming the absence was not excused). In order to limit the number of notifications received from Veracross, parents are advised to inform the School of any absences in advance by using the Student Attendance & Transportation Request section in the Veracross Parent Portal. What a great start! The TPA-sponsored coffee meetings and lunch were an amazing success. We had record-breaking attendance with more than 130 parents participating overall. Thank you for sharing your ideas, and we will incorporate as many of them as possible. We’ve got a busy year ahead, so please mark your calendars with the TPA and holiday event dates listed on the calendar on the TPA page of the TASIS website (and see details about the upcoming Mountain Trek and Halloween Brunch below). We will work with the coordinators in the coming weeks to discuss event details, and you will receive more information in the Weekly Bulletins. Please note that we also have some coordinator positions open. See this Keynote presentation for details, and if you are interested in becoming a TPA coordinator, please contact us at tpa@tasis.ch. All TPA coordinators and members wish you a great year at TASIS. All students in grades 9–11 will take the PSAT at 8:00 on Wednesday, October 10. (Please note that 12th-grade and Postgraduate students will participate in a college/university application workshop instead of taking the PSAT. )In addition to giving students experience with a test many of them will take in the near future (the SAT), the PSAT helps students confirm that they are on track for university-level academics. Scores can also be used for class placement and AP readiness assessment. Students will receive an email early next week explaining the specific test location for their grade level. Please remind your children to bring the following things on test day: two No. 2 or HB pencils, a calculator, their TASIS ID, and their very best attitude and effort! Learn more about the PSAT 8/9 (for 9th-grade students). See TASIS’s 2018–2019 Standardized Testing Recommendations/Schedule. If you have not yet had a chance to register for Family Weekend (October 12–13), please use the button below to do so. Please review the full schedule of events for High School parents, contact Family Weekend Coordinator Eleonora Pinton with any questions, and see the Visitor Information page on the TASIS website for information about hotels in the area. Any parents who would like to attend the Parent Reception during Family Weekend (16:00–17:30 in Casa Fleming on Friday, October 12) should confirm their attendance by sending an email to Yvonne Procyk. Starting on Monday, October 15, all students will be expected to follow the Winter Dress Code. Polo shirts will no longer be permitted, and all outer layers—including sweaters and coats— must have the TASIS crest. See the Uniforms section of the Student Handbook for more details. Last week all High School students were able to learn from the highly engaging John Tummon, Senior Prevention Specialist and Regional Officer for FCD Prevention Works, a non-profit organization that provides substance abuse prevention education for schools. 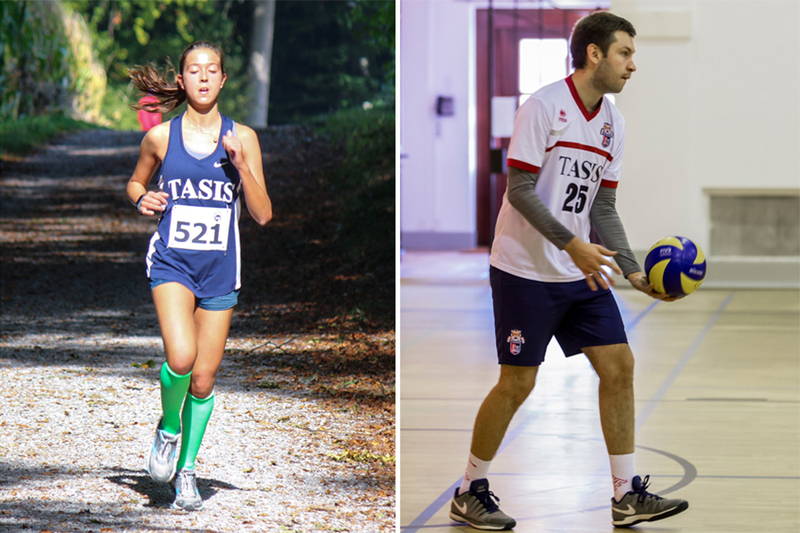 We would like to take this opportunity to remind parents that at TASIS, one of our founding principles centers on the importance of teaching fitness and healthy habits of living. This recognition requires that we take special care in offering nutritious meals, insisting upon timely sleeping arrangements, and encouraging students to participate in a wide range of physical activities. It also means prohibiting certain types of activities and substances, including the use of alcohol and illegal drugs. Below is a summary of the steps we take to prevent substance abuse at TASIS. The curriculum for our Middle School and High School Physical Education classes includes a weekly health unit that addresses, among other important topics, the effects of alcohol, tobacco, and drugs on the body. The ultimate aim of our Physical Education program is to help students develop a lifelong appreciation for exercise and healthy lifestyle choices. When necessary, School Counselor Pamela Waters works with students to address the issues that may contribute to their need to experiment with drugs or alcohol. Exploring constructive alternatives when students are dealing with feelings of isolation or inadequacy supports the School's mandate to help them find better coping mechanisms than drugs and alcohol. Our dedicated Residential Life team makes sure all boarding students are safely in their dormitories on each weeknight from early in the evening until the following morning. On weekends, all boarding students are required to have face-to-face check-ins in both the early and late evening to ensure their safety and accountability. Following their final check-in, they must remain in the dormitory until morning. The use or possession of any illegal or unauthorized drugs is strictly forbidden. As stated in our High School Student Handbook, members of the High School Administration team issue random drug tests each week. Our tests account for 12 different controlled substances. Our goal is not to “catch” students but to dissuade them from experimenting with drugs in the first place. 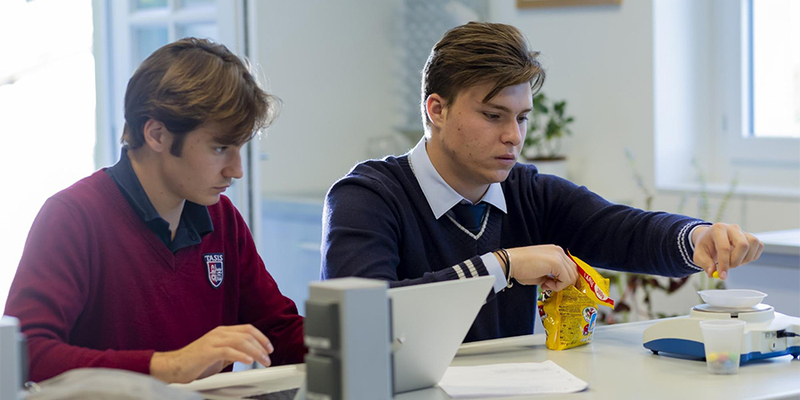 Any violation of our drug policy, including a positive result on a drug test or a refusal to submit to a drug test, will result in a student’s dismissal from TASIS. Members of our Residential Life team administer breathalyzers to High School boarding students each night—both to a group of randomly selected students and to any students suspected of being under the influence of alcohol. Approximately five students are checked each weeknight, and up to 25 are checked on weekends. Students who fail a breathalyzer test for the first time face a five-day internal suspension. A second failure results in an external suspension, and a third leads to expulsion in most cases. A two-sport fall athlete who displays commitment and passion, Raffa continues to be a super positive senior leader for the Varsity Cross Country team even though she splits her time with the Varsity Soccer team. She is a role model for all and always works out on her own when she is not able to attend one of her team’s practices. She is not new to winning awards, however, and stands out for each and every team, club, group, or class she is a part of at TASIS. She gets what it means to be a part of something bigger than herself, and it has become second nature for her to lead by example. A four-year veteran of the Varsity Boys Volleyball team, Nadir is a captain and the clear leader of the team. He’s recognized as a threat throughout the league. At the Basel tournament earlier this month, he tallied 21 aces and 12 kills (as a setter, he had too many assists to count). Nadir’s offensive stats were amazing, as he scored 39% of the team’s points. At the tournament TASIS hosted last weekend, it was evident that his leadership was a major reason why the team did not lose a single set during the entire tournament. He is always focused and calm under pressure and sets an example for the rest of the team.